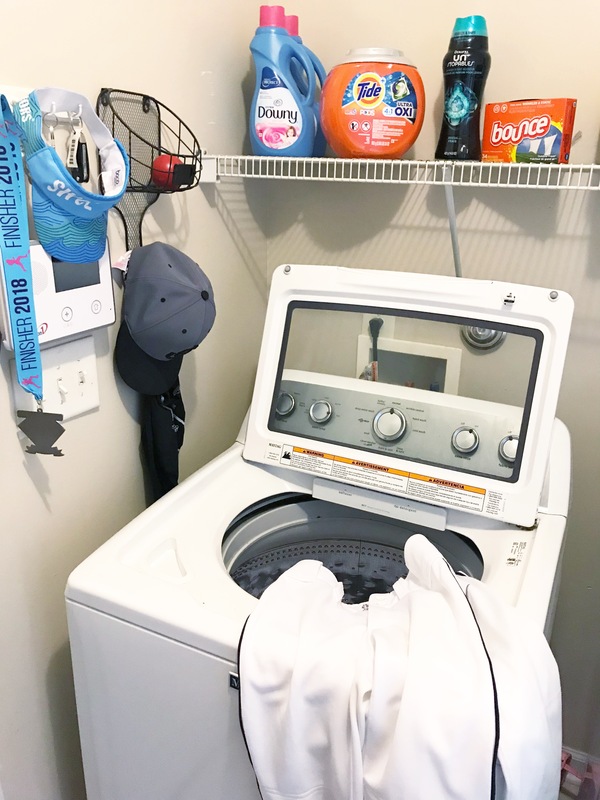 Laundry tips from a busy mom of four – how to do the laundry fast! Expert tips to save time. I have four very busy kids – and they go through a lot of clothes every week! I have to be able to do the laundry fast or I’d never get it all done. 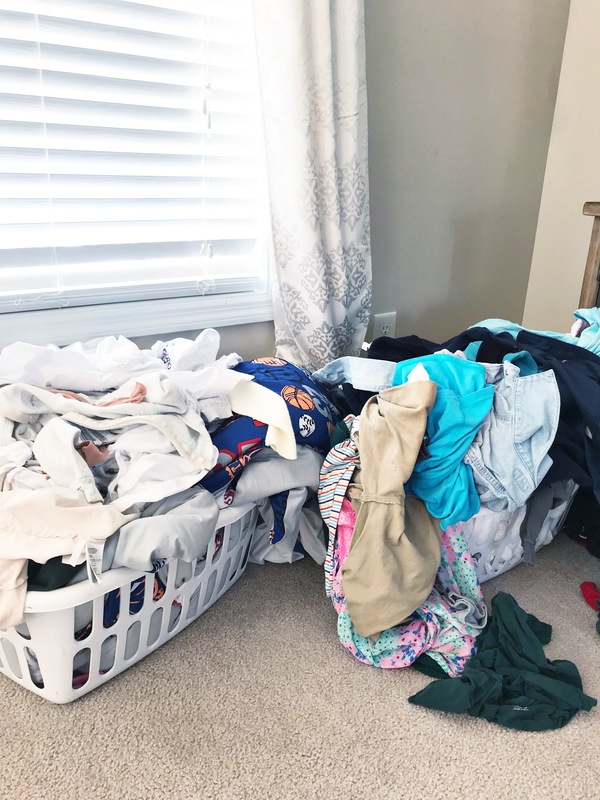 Over the years I’ve found some things that work and some things that don’t when it comes to how to do the laundry and I’ve come up with some laundry tips for busy moms to share with you. How much laundry does a family of six go through? I’m not kidding, we have A LOT of laundry to do every week. We have school uniforms, PE clothes, sports uniforms, and extra towels for nightly swim team practice. My husband has his military uniforms, his regular clothes, and his gym clothes. I have my regular clothes and my running clothes – ok we all know I usually just wear running clothes. And then there’s the three year old – I think she goes through her entire closet every single day. With so many different loads to be done each week I can’t leave it to pile up. This actually happened a few months ago when our dryer broke – the laundry mountain was not pretty, people! Now with spring sports and summer just around the corner we’ve got to be prepared for all that extra laundry that’s bound to show up. Do one load (sometimes I have to do 2) every morning. I wake up, start the coffee pot, and while my coffee is brewing I toss a load in the wash. After I finish enjoying my cup and getting dressed, toss it over into the dryer. Easy Peasy! If you pre-sort your clothing (lights, darks, whites) you can eliminate even more time from your laundry routine. Choose the right detergents. 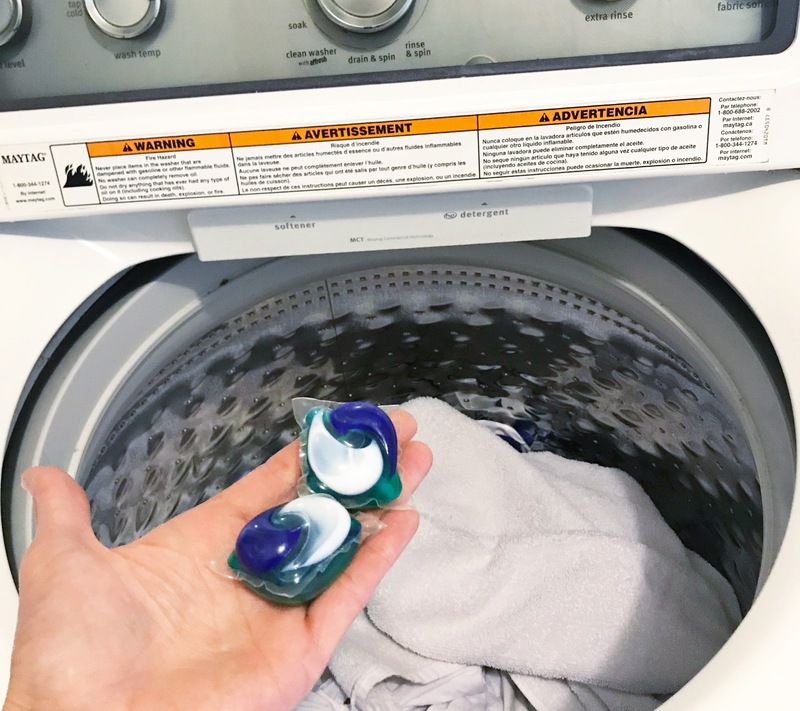 I swear by Tide PODS® Not sure how to do laundry with pods? It’s so easy – no pouring, no measuring, no adding extra cleaners – just toss them into the wash with your clothes and shut the lid. Follow the instructions on the container for large loads or extra soiled clothing. The new, improved Tide PODS® available at Walmart are a 4-in-1 laundry solution with concentrated Tide detergent, extra odor fighters, extra stain fighters, and built-in pre-treaters. Sometimes our clothes need some extra freshening or softening. I prefer Downy Liquid Fabric Conditioner as it protects and conditions to keep clothes looking newer longer and Downy Unstopables give your laundry up to 12 weeks of freshness. Simply add the beads to your washer before clothes — and there are lots of scents to choose from! Bounce sheets can also help fight static and wrinkles while your clothes dry. Now this one is important. Not only do we have four kids, but all four of them are super active. They play hard and they practice hard. This leaves me driving all over for their activities – something I absolutely LOVE, by the way. One thing I don’t love? Having to go into the store after being at a baseball tournament all weekend! Dragging the kids through the store when they’re tired and dirty is just not fun for anyone. Don’t waste time at the store and order from Walmart Grocery Pickup. 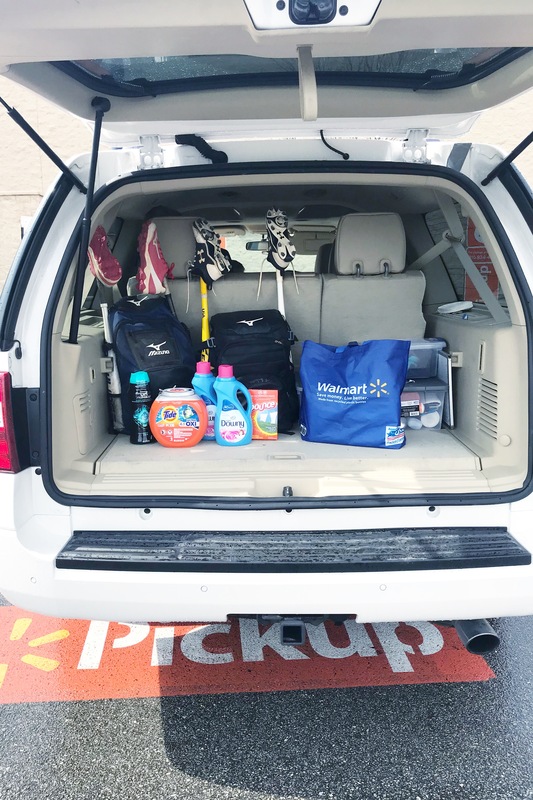 Using Walmart Online Grocery Pickup is simple! Just go to grocery.walmart.com or download the Walmart Grocery app, search for these products, select your pickup time, and check out! You can add all of my laundry favorites to your Grocery Pickup cart by clicking HERE.